We normally don't cover Rock Band or Guitar Hero DLC on the site, because frankly, there's just too damn much of it. But every once and a while something comes along that simply a crime not to mention. This weeks' Rock Band DLC is such an item. 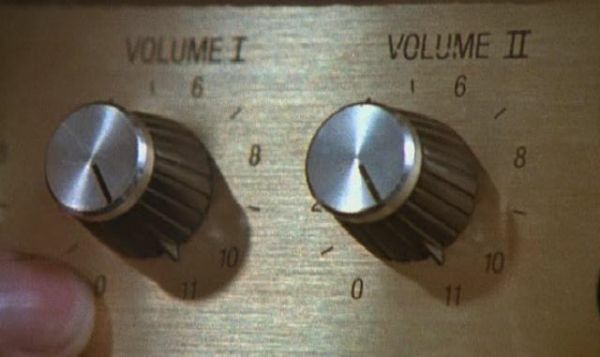 Like an ancient race that no one really knows anything about, the pack of eleven songs in the Spinal Tap TAP TEN pack contains all the addictive songs from the 1984 movie. The downloads will be available on August 4th for the Wii and 360 and August 6th on the PlayStation 3. There's no price listed yet, but the tracks will be available individually or as an entire pack. All I know is I don't want to be the drummer - for fear of turning into a little green globule. It should also be noted it is the movie's 25th anniversary - to celebrate a brand new remastered Blu-Ray has been released. Trust me - you're going to need this like a bunch of mini-druids dancing around a mini Stonehenge. Page created in 0.7017 seconds.